As the population continues to expand and the natural environmental resources become depleted, baby boomers are realizing the importance of the need to maintain a “green” lifestyle. Seniors are embracing this practice in a number of ways that include using eco-friendly materials around the home, purchasing energy-efficient appliances and even choosing a green retirement community or assisted living center for their next home. There are a number of easy tips seniors can incorporate into their everyday lives. Switching your light bulbs from incandescent to fluorescent bulbs will help and can save you money on your energy bills. Other cost-saving measures include replacing your older appliances with energy-efficient items. When it comes to cleaning and gardening, you want to select products that are kind to the earth. Most of these items are powerful enough to eliminate germs, remove odors and get rid of weeds without adding toxins to the air we breathe. Probably the easiest way to be of help to the environment is through a recycling program. You can reduce the amount of garbage entering the landfills by recycling glass, plastic, paper and aluminum. Also, batteries can be harmful to the planet by leaking corrosive acids into the ground and water system. Recycling your batteries is simple to do and it’s much better for the earth. Seniors who are fueling the demand for green retirement communities are having a positive impact on the planet while enjoying numerous health and environmental benefits. As our world moves toward living a “green” lifestyle, eco-friendly adult communities are becoming a popular draw for many. These new communities may either be LEED (Leadership in Energy and Environmental Design) certified, or they may follow various aspects of living eco-friendly. 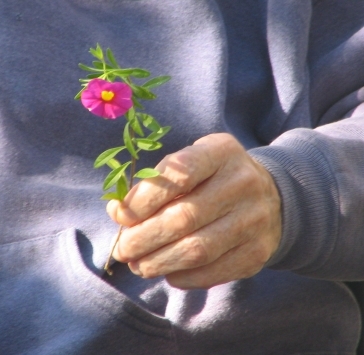 Many of the retirement communities today are using earth-friendly materials. Some of the bigger features included are solar panels and dual pane, low-emittance windows. These options are particularly popular in areas that see high amounts of sunshine, and they will help you save money on your energy bills. Other items include energy-efficient air conditioning and heating units, climate control systems to regulate cooling and heating units and satellite set sprinkling systems. Seniors all around the United States are realizing the many benefits of making the move to an environmentally-friendly retirement community. Remember that in addition to your “green” living needs, you must find a community that will accommodate your personal and medical preferences also. A real estate agent or Internet search can help you find locations that best suit your needs. Do your research, visit the community and ask questions to determine if the center is right for you. 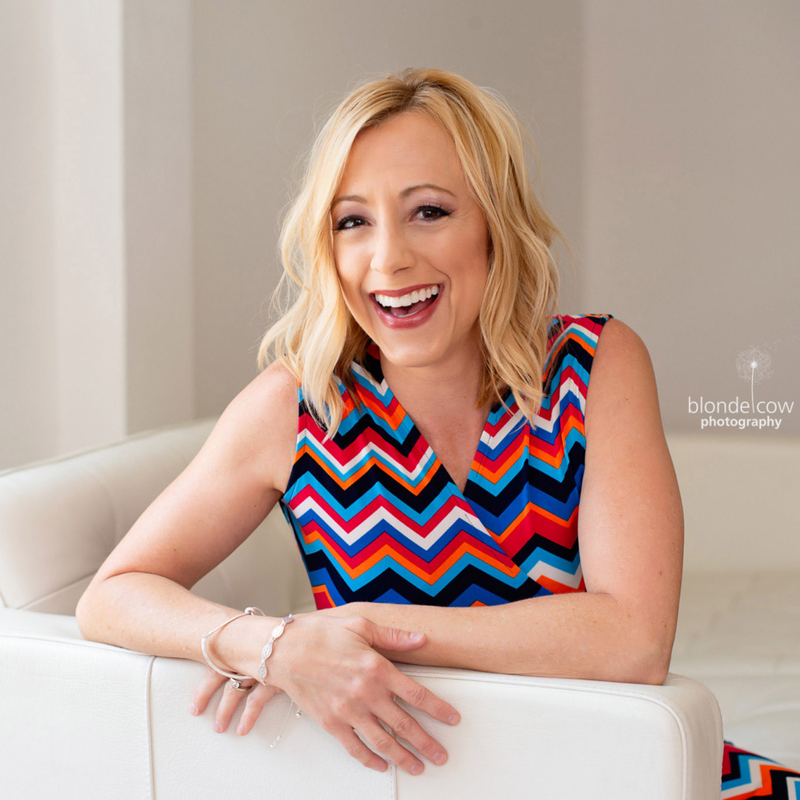 Author Shelby Warden researches the latest lifestyle trends for seniors and contributes this article for the green retirement and assisted living center programs of Pathway Senior Living, an award-winning provider of adult living communities. Pathway is once again paving the way as a champion of the environmental movement in seniors’ housing with their sustainable living philosophy and eco-friendly techniques. 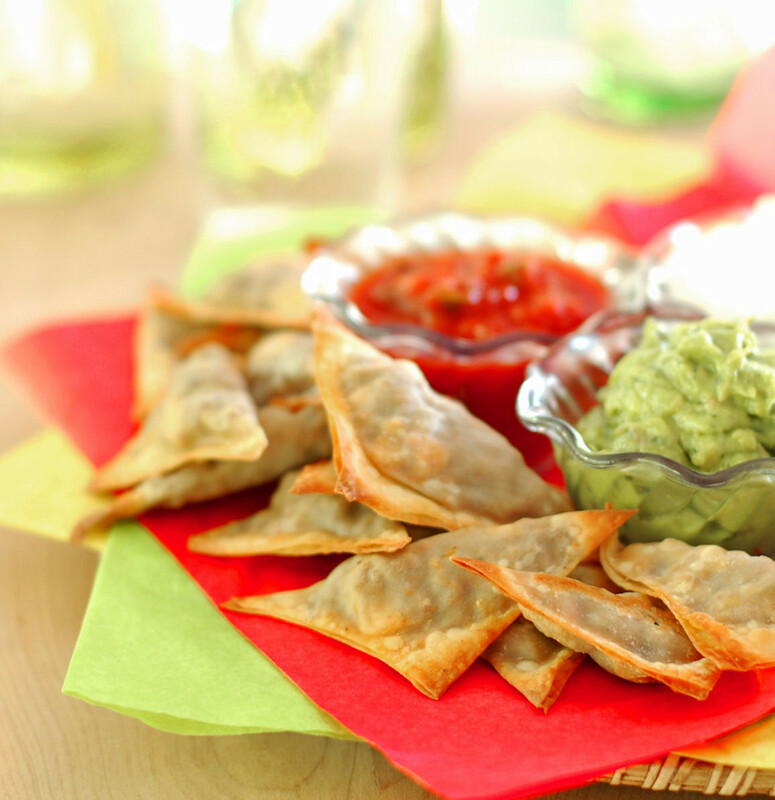 Warm, filling and delicious, small lean snacks will quench the appetite of guests without adding unnecessary calories. Protein packed appetizers pair perfectly with healthy dips, casseroles and vegetable platters, allowing guests to keep their diet on track – even during the holidays. 2. Cook ground beef, onion and next 3 ingredients in a large nonstick skillet 5 minutes or until beef is browned; drain. Add corn and next 2 ingredients and cook until heated through. Remove and let cool. 3. Working with one wonton wrapper at a time, spoon 1 tablespoon beef mixture into center of each wrapper. Bring 2 opposite corners together and pinch the points to seal, forming a triangle. Place wrappers on a wire rack and repeat procedure with remaining wrappers and beef mixture. 4. Place empanadas on lightly greased baking sheets and coat lightly with cooking spray. Bake 4 to 6 minutes on each side, turning once or until golden. Serve with salsa and sour cream, if desired. Energy is essential for human life. Whether it is for basic survival needs like growing food or luxury items like yachts, energy makes the world go around. Humans rely on fossil fuels to keep society running. We dream of the day when we will be able to access the sun’s energy to directly power our homes and automobiles. This dream has been unfulfilled but with recent rapid advances in technology and rises in the price of fossil fuels, it seems that solar energy may soon become a practical reality. The first steps toward the realization of this dream began in the laboratory of Edmund Becquerel in 1839. Becquerel was a French physicist who was very interested in light and its properties. He was also interested in the effects that light had on material things and in particular things that were phosphorescent and would glow after exposure to light. 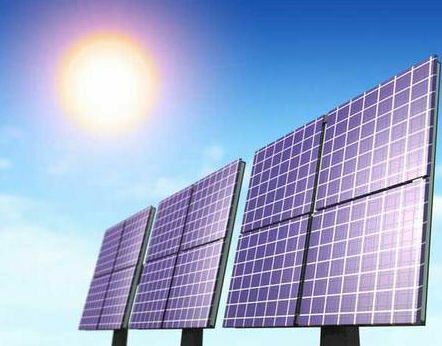 Becquerel noticed that some materials would develop a small electric current when exposed to solar energy. He placed silver chloride into an acidic solution. He then illuminated the solution while it was connected to platinum electrodes. A small current was generated between the electrodes. This has become known as the photovoltaic effect and Becquerel had invented the first photovoltaic device. The current was too small to have a practical use but it was clear that solar energy could in some fashion be converted directly to electrical energy. What was happening in this device? How does solar power work? It would take a long time for the answer to this question to emerge. By the 1880’s many scientists were developing working photovoltaic cells. Albert Einstein’s research on the nature of light and energy yielded a theoretical understanding of the photovoltaic process. Scientists at Bell Labs in the 1950’s discovered the photovoltaic properties of silicon quite by accident. Today almost all solar cells use silicon to absorb the sun’s energy. Many great scientists contributed to the development of today’s solar cells. So how does the photovoltaic effect work? When light hits a material with photovoltaic properties like silicon, the electrons in the substance absorb the energy and break from the atom to which they are attached. These electrons flow freely in the material. By placing two materials of different crystalline structure together, the electrons are encouraged to flow in one direction. This directional flow generates an electric current in the solar cell which can then be harnessed to provide power. The time seems to be at hand for the adaptation of solar power on a massive scale. Governments have begun to provide rebates and other incentives for people to install solar systems in their homes. It is possible to generate enough electricity from solar cells on a rooftop to supply most of the power needs for that residence. What started as a small current in Edmund Becquerel’s lab is about to become a serious alternative to fossil fuels. We are on the advent of a new age of energy. Jennie is a blogger and advocate of solar power and eco-friendly products. She is excited to see the use of solar power in Perth continue to grow. 1. 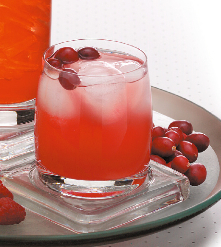 In a large container or punch bowl, combine the juices. Stir in lemonade concentrate. Serve in chilled glassed over ice. Did you realize there are everyday items in your home that can contribute to your health? Yep, and they even affect your ability to stay healthy and fight off serious diseases — like cancer — and can come down to something as simple as the toothpaste you are using! Check out this list of the top five toxins to eliminate immediately so we all can become cancer-fighting machines. And yes…we also need to make sure we’re exercising, eating healthy, and strengthening our everyday mindset. • Plastics – Food wrapped in plastic, drinking out of plastic water bottles, or eating takeout food in plastic containers exposes you to very high levels of phthalates and other chemicals. Plastics damage hormone receptors, cause fatigue, harm brain chemistry, accumulate in organs, and lead to illness. They’ve been specifically linked to cancers of the prostate, breast, lung, and thyroid. • Water – You have to watch what you drink, bathe in, and what you use to clean and prepare foods. Tap water is full of chlorine, heavy metals, contaminants, and other toxins. Chlorine is a big one. If it is strong enough to kill bacteria and other dangerous stuff in our water, do you really think it’s a good idea to drink it? • Food Additives – Stay away from foods containing food additives, dyes, colorings, flavorings, stabilizers, fake fats, artificial sugars, and preservatives. The average person ingests 140 to 150 pounds of additives every year. • Medications – The nearly 4 billion prescription drugs, over-the-counter medicines, and vaccines are themselves chemical toxins. Additionally, phthalates, heavy metals, and commercial preservatives are used to both coat the drugs and preserve the materials. • Personal Care Products – These toxins are literally hiding in plain sight on the shelves and in the drawers of your bathroom. They are in your shower and by your sink. You wash with them and use them to make yourself more beautiful and to make yourself smell better. The list includes sunscreens, makeup, skin creams and lotions, soaps, shampoos, bubble baths, laundry and dishwashing detergents, and toothpastes. And they all contain harmful chemicals that you gladly smear on your skin, scrub on your teeth, or spray on your hair. In fact, sodium lauryl sulfate is a common degreaser used in practically every soap, shampoo, and toothpaste on the market today. The compound has been used in studies to induce mutation in bacteria and irritate skin. It has also shown to enter the heart, liver, lungs and brain from skin contact and has been proven to maintain residual levels once inside these organs. Warm spices like nutmeg, cinnamon, and ginger translate into a delicious cookie, not just breads and muffins! 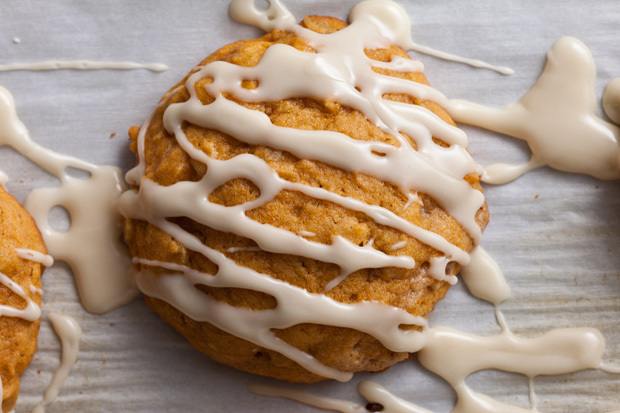 The dough here is made with pumpkin purée, oats, and spices, baked until soft and chewy, and finished with a drizzle of maple syrup glaze. Enjoy these treats as the autumn weather arrives, as well as through the holidays. Heat the oven to 350°F and arrange the racks to divide the oven into thirds. Line 2 baking sheets with parchment paper; set aside. Whisk the flour, oats, baking powder, cinnamon, ginger, salt, and nutmeg in a medium bowl to aerate and break up any lumps; set aside. Place the butter and sugars in the bowl of a stand mixer fitted with a paddle attachment and beat on medium speed until lightened in color and fluffy, about 5 minutes. Stop the mixer and scrape down the paddle and the sides of the bowl with a rubber spatula. Add the egg and vanilla, return the mixer to medium speed, and beat until incorporated, about 30 seconds. Stop the mixer and scrape down the paddle and the sides of the bowl. With the mixer on low speed, add half of the reserved flour mixture and mix until just incorporated. Add half of the pumpkin and mix until just incorporated. Repeat with the remaining flour mixture and pumpkin. Drop 8 dough rounds per baking sheet by the scant 1/4 cup, staggering them 2 inches apart on the prepared sheets. Place the remaining dough in the refrigerator. Place both sheets in the oven and bake for 12 minutes. Rotate the pans from top to bottom and front to back and continue baking until the cookies are golden brown on the bottom and around the edges, about 12 minutes more. Place the baking sheets on wire racks and let the cookies cool on the sheets for 3 minutes. Using a flat spatula, transfer the cookies to the wire racks to cool completely. Let the baking sheets cool to room temperature and then repeat with the remaining dough (you can use the same parchment paper). When all of the cookies are baked, set the pieces of parchment paper aside. Place all of the cooled cookies on the reserved parchment sheets. Dip a fork into the glaze and drizzle it over the cookies in a zigzag pattern. Let the cookies sit at room temperature until the glaze has set, about 20 minutes. Winter weather calls for warm, comforting soup, and this rich, hearty soup is just the thing to make! Heat oil in a large pot over medium heat. Add garlic, onions, bay leaf, salt and pepper and cook, stirring often, until caramelized, about 15 minutes. Add tomatoes and cook until most of the liquid is released and absorbed, about 5 minutes more. Add carrots and water and bring to a boil, scraping up any browned bits from the bottom of the pot. 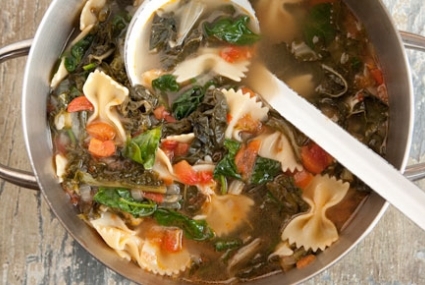 Stir in Swiss chard, escarole, pasta and Parmigiano Reggiano rind, reduce heat, cover and simmer until broth is flavorful and greens and pasta are tender, about 15 minutes. Stir in spinach and season with salt and pepper. Remove and discard bay leaf and rind from soup then ladle into bowls, garnish with grated cheese and serve. Although children thrive on routine, they also tend to be extremely adaptable. So while many parents are concerned about the effect that moving will have on kids, the truth is that in most cases they will bounce right back, especially with a little help. Of course, this isn’t always easy. Young children may not understand what’s happening, while older kids and teens will likely be upset about losing familiar surroundings as well as friends. And parents wrapped up in the logistics of the move; from packing and hiring movers to switching utility providers, to ensuring that a change of address has gone through, and more; may not have the time and energy to devote to calming their kids. But whether you’re relocating to a new house or you’re moving to a new city, state, or country, it’s important that you try to prepare kids for what’s to come and let them know that everything will be fine if you want them to help them adjust during this difficult transition. And here are just a few tips that should make things run a little more smoothly. The first thing to consider is that your children have not gone through a move before. 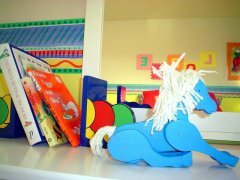 For you and your spouse, pulling up stakes and relocating may be old hat, but for kids it can be a frightening experience, especially if nobody explains what’s happening. Can you imagine being plucked out of the only home you know, torn away from family and friends that have formed your lifelong support network, and then being thrust into an entirely new existence without any explanation? It’s distressing to say the least. So it’s only natural that children would act out on their fear and anxiety with tantrums, or worse, withdrawal. Luckily, this scenario can often be easily avoided by simply taking the time to sit down with kids and talk it out. You should start by getting the whole family together for a powwow. You can talk to the kids about why you’re moving in the first place, lay out a plan that details every step of the relocation process, and then reassure them that they will have all kinds of new opportunities in your new home, including brand new bedrooms and the chance to form new friendships. You might also want to include options that allow them to stay in contact with their old friends, potentially including trips to their old stomping grounds to visit family and friends left behind. In addition, you should encourage your kids to ask questions and voice their concerns so that everyone can get their fears out on the table to be addressed. Whether you’re moving for a job or you’ve elected to find one of the safest places to live while you raise your family, it’s important to make sure that your children understand why they’re being uprooted and give them the opportunity to voice their concerns as a member of the family. You may not be able (or willing) to take their suggestions into account during the move (especially if what they really want is to stay put), but you can definitely listen and make sure they feel comfortable discussing their fears and frustrations throughout the moving process. This, along with imparting information about the move, should help them to adjust and accept the situation more quickly. Perhaps you can even turn relocation into a fun adventure instead of a frightening departure from all things familiar. Originally, roads were nothing more than dirt tracks, often carved out by animals making their annual pilgrimage to mating grounds or food sources. Then they became rutted by the hoof-prints of horses and the tracks of wagon wheels. Eventually people began to patch together permanent, cobblestone roadways, and as of a little more than a century ago, asphalt became the go-to material for creating city streets and coast-to-coast highways. But since the advent of motor coaches, roadways have pretty much enjoyed a static existence. Sure, they get patched up every year and a few new ones are added as housing developments are installed, but despite the many advances in automotive technology over the last hundred years, roads have remained more or less the same. 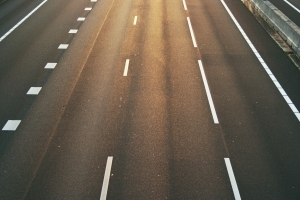 It seems that modern man has yet to come up with an affordable alternative to smooth, durable asphalt. Of course, it’s not for lack of trying. Some ingenious entrepreneurs have been trying to develop solar tiles for road surfaces that would have the potential to power entire cities (in sunny climes). Sadly, the concept is still fairly cost-prohibitive, due not only to the technology involved, but also to the durability of the product. Still, let’s hope they work out the kinks on that one soon. Then, of course, there is the smart highway concept. You may know that some cities are beginning to install sensors at the street level that link up to parking apps to tell urban commuters when spaces are available. The idea of a smart highway is similar, but far more comprehensive. The brainchild of Dutch designer Daan Roosegaarde, this revolutionary idea stands to change the way we approach the driving experience, at least if it takes off. Working in concert with civil engineers at Heijmans Infrastructure, Roosegaarde has been developing a plan that takes the solar-panel highway concept to the next level. It’s one thing to consider highway surfaces that provide energy for lights along the roadway; heck, the idea has already been used on roadside call boxes, many of which now feature a solar panel up top. But it’s another thing entirely to imagine a roadway that charges the engine on your electric car en route, or one that offers information on road conditions as you drive. And yet, these are exactly the types of interactive roadways Roosegaarde has in mind. Now, you might think that sensors in the road would simply communicate with the OBD (on board diagnostics) in your car and flash a message on your in-dash navigation. But Roosegaarde’s vision seeks not only to enhance your driving experience, but also beautify it…via illuminated road surfaces. If, for example, freezing temperatures led to slick roads, the “dynamic paint” on the road surface would begin to glow, displaying, say, snowflakes to let you know you should slow down and proceed with caution. Of course, one must wonder how well this would work when skies are overcast (leaving the photo-luminizing paint unable to charge) or roads are covered in snow and sleet. But it’s still a pretty fantastic concept that pushes the envelope on current commercial solar solutions – except for the cost, which could be exorbitant. Sonja Sweater from Krimson Klover Giveaway! Ladies – you will fall in love with the Sonja Sweater from Krimson Klover this winter! 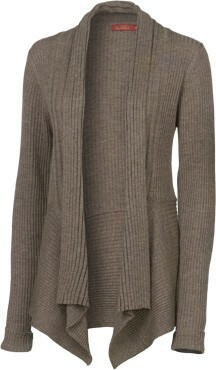 Perfect for snuggling up by the fire, or looking cozy yet chic while out and about in the chilly weather! 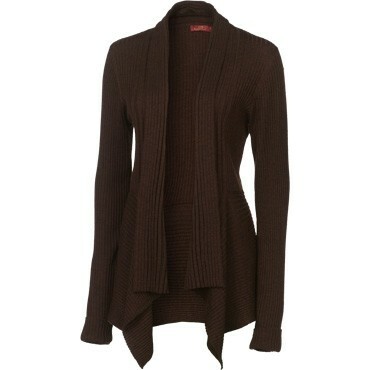 The Sonja Sweater is made from luxurious 100% merino wool for a sumptous look and feel. The sweater is available in 5 rich colors to complement your style, including Aubergine, Black, Coriander, Espresso and Ruby. Krimson Klover is committed to providing adventurous women a clothing line that is feminine, playful, and features vivacious luxury fibers. Fun, yet elegant patterns, bright colors and impeccable quality are the core of this innovative collection. Krimson Klover is devoted to environmental and social responsibility by using Merino and Pima cotton yarns from sources that respect their animals, employees, and Mother Earth. Wouldn’t you like to wrap yourself up in it this holiday season?! From November 24th – December 10th, 2012, you can enter to win the Sonja Sweater daily on Tiny Green Mom! First, leave a comment below to let us know why you would love to win the Krimson Klover Giveaway! Visit Krimson Klover on Facebook. Please leave a comment below to let us know you have stopped by their page to learn something new! This is only valid for one entry. Follow Krimson Klover on Twitter. Leave a comment with your Twitter name to let us know that this has been done. This is only valid for one entry. Pin It to Win it! Visit Krimson Klover on Pinterest. This is valid for only one entry. The Krimson Klover Giveaway ends on December 10th, 2012 and is open to the US only. Please leave your email address in each comment, and make sure to leave a separate comment for every each and every entry that you make so that they will count for you! Thank you! “Mom” at Tiny Green Mom can’t wait to announce the winner of this eco-fabulous giveaway! http://tinygreenmom.com/wp-content/uploads/2018/07/logo-sm.png 0 0 Tiny Green Mom http://tinygreenmom.com/wp-content/uploads/2018/07/logo-sm.png Tiny Green Mom2012-11-24 15:40:302012-11-24 15:41:47Sonja Sweater from Krimson Klover Giveaway!